Winter: Closed Mon. ; Closed for private parties Tues.-Wed.; 4:40-9 p.m. Thurs. ; 4:40-10 p.m. Fri.-Sat. ; 11 a.m.-3 p.m. Sun. The 51 House in Edenton blends history, scenery, hospitality and phenomenal food to deliver a dining experience striking in its originality. From its decor to its recipes, the restaurant pays homage through every detail to the momentous Edenton Tea Party — an unwavering pledge by 51 women to boycott British goods during the Revolutionary War. Organized by Penelope Barker, the occasion has gone down in history as our country's first coordinated political act by women. The menu at 51 House is comprised of classic American cuisine that is prepared using modern techniques and served with timeless care. Ample beef, chicken, seafood and vegetarian dishes are available to satisfy an array of tastes, and an all-star brunch buffet, complete with a long list of locally inspired libations, is offered every Sunday. Speaking of libations, the signature cocktail menu at 51 House is a feat of creativity — every drink calls on the character of Edenton’s storied past. 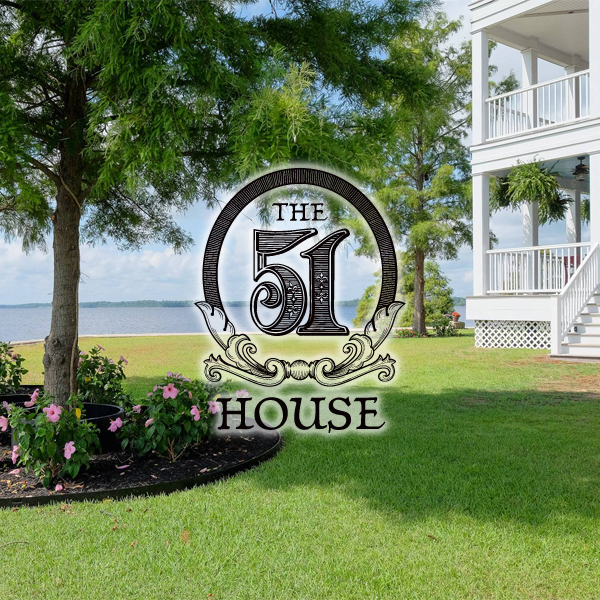 Prominently situated along the Chowan River, the 51 House provides gorgeous views from every chair. Complete with a spacious waterfront lawn, the restaurant is an ideal venue for a variety of ceremonies and events, including weddings, corporate parties and family reunions to name a few. True to the audacious spirit of the historical giants it was built to commemorate, the 51 House is unlike any establishment on the eastern seaboard. Every visitor enjoys unmatched quality in food and service, and an unprecedented proximity to some of America’s most imposing pioneers.